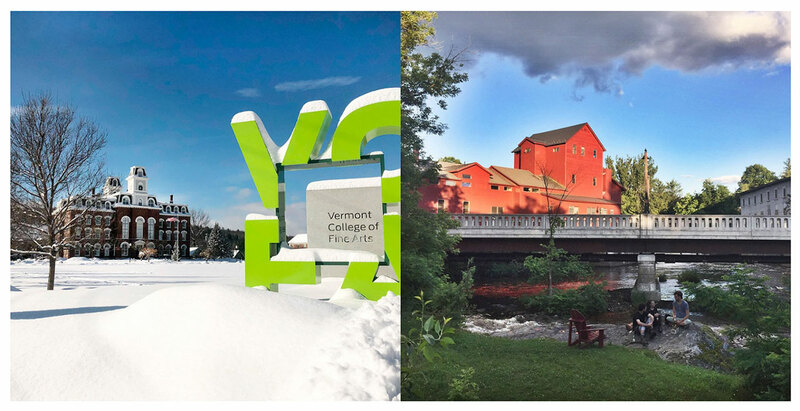 ALL alums of the Vermont Studio Center & Vermont College of Fine Arts are invited to submit visual artwork in any medium for inclusion in a group show juried by Meg Onli, Assistant Curator at the Institute of Contemporary Art at the University of Pennsylvania. The exhibition will run May 4 – June 1, 2018, in the College Hall Gallery at VCFA in Montpelier, VT. The deadline to submit is Friday, March 23, 2018, at 11:59 PM Eastern. All media accepted. Applicants must submit up to five work samples, CV, and artist statement via SlideRoom. There is a $10 application fee which goes directly to the cost of the application.